What predicament has Sookie Stackhouse found herself in now? 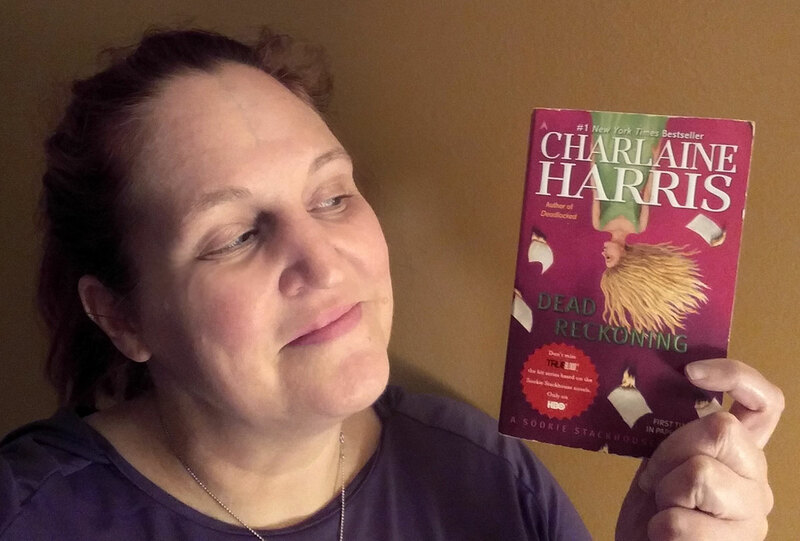 The popular series of paranormal mysteries by Charlaine Harris, which has been adapted into the hit HBO series TrueBlood, continues with the eleventh novel, Dead Reckoning. Dead Reckoning is available on Amazon in Kindle, hardcover, paperback and audiobook formats. You can find it at your local bookstore, as well. Sookie’s vampire boyfriend is plotting the death of his superior … and he has a secret he doesn’t want Sookie to know about. Crazy Sandra Pelt is out of jail and planning to kill her. Oh, and her faerie family housemates are plotting something with a bunch of other faerie exiles. Harris fills her stories with every-day detail, from a trip to Walmart to a stop for a chicken biscuit at Hardee’s. It is these real-life specifics that make the supernatural fantasy more believable. The juxtaposition of the mundane with the extraordinary is what makes the Sookie Stackhouse novels so readable. I also find the character of Sookie very likable. She is ordinary … an everyday person who goes to work does the laundry and loves her friends and family. But she is also extraordinary … she can read peoples minds, dates a vampire and works for a shape-shifter. Again, putting the ordinary in direct contrast to the paranormal helps me suspend disbelief. It is easy to see yourself in Sookie and understand the emotions she experiences. 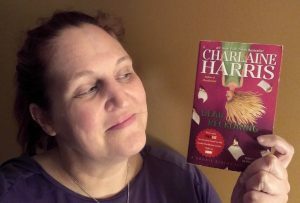 Sometimes Harris meanders through the story, leaving me feeling like there was no actual plot. Of course, this is part of her strategy to keep you reading book after book … mysteries are raised in one book and not solved until another. The main mysteries of this book are resolved, but there are some pretty big loose ends, as well. Dead Reckoning is a delightfully readable novel … with one major caveat: Don’t read it out of order. Each book builds on information revealed in the previous book, and although Harris gives you the basics to understand the book you are currently reading, the surprises of prior books will be ruined if you read them out of order. I had read the first book and even caught a couple episodes of TrueBlood, so many of the spoilers in this novel weren’t shockers. But, I think I would have enjoyed Dead Reckoning more if I had read the intervening 9 books in advance. NOTE When I first received this book to review, I had only read book 1 of the series. When I was laid up in the hospital after being hit by a car, I started reading the books again and re-read Dead Reckoning in the correct order. It was much more enjoyable once I knew all that backstory.